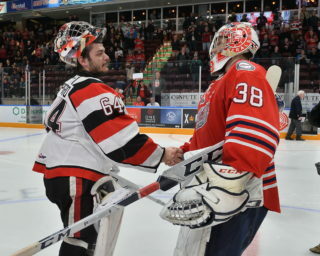 The Oshawa Generals blocked a lot of shots, finished their checks and got some big saves along the way, edging visiting Niagara 3-2 in Game 6 for their fourth straight win. 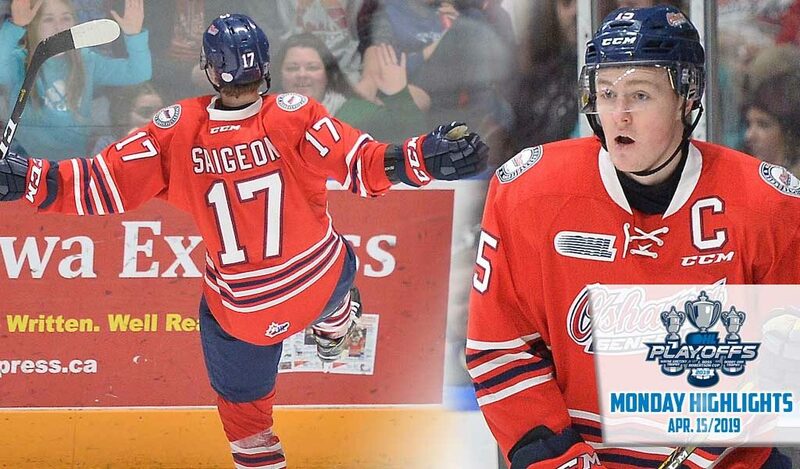 The Generals advance to the Eastern Conference Championship Series, eliminating the higher-seeded IceDogs as Brandon Saigeon (3), Giovanni Vallati (2) and Nando Eggenberger (5) scored goals while goaltender Kyle Keyser was great once again, turning aside 34 shots. 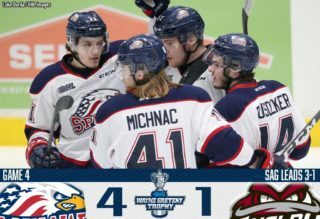 Generals captain Kyle MacLean joined big blueliner Nicolas Mattinen in picking up a pair of assists as Oshawa prevailed despite being outshot 36-30. Oshawa’s power play went 2-for-5 as they stayed out of the box, limiting Niagara to just one power play opportunity. 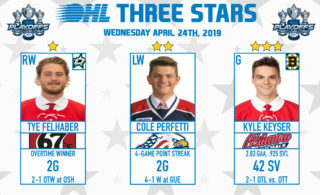 Minnesota Wild prospect Ivan Lodnia (3, 4) provided both Niagara goals while Stephen Dhillon made 27 saves in his final OHL contest. The Central Division champion IceDogs see their run come to an end after scoring a league-high 326 goals during the regular season. They were led in playoff scoring by Lodnia who put up 14 points (4-10–14) over 11 games. 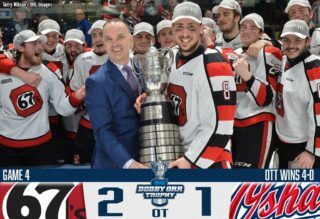 The Generals overcome a 2-0 series deficit and advance to face the division rival Ottawa 67’s in Eastern Conference Championship Series action beginning Thursday night in the nation’s capital.